If you’ve seen the latest 30-second advertisement for retailer Target, you know that it features a handful of women shaking and shimmying around in colored prints against backgrounds straight out of a kaleidoscope. It’s promoting a new line from womenswear brand PETER PILOTTO, a partnership between designers Peter Pilotto and Christopher De Vos that’s been around for a few years now. However, it’s the energetic dance song used in it that’s catching a lot of buzz, a new remix of an old disco classic that conquered the clubs and is now conquering the world of commercials. This is the story of one of the songs by the “Queen of Disco”, the performer best known as Sylvester. Born Sylvester James, Jr. in Watts, CA in 1947, his looks were flamboyant and his falsetto was exquisite. From the earlier days of singing in church to performing with drag troupes and then eventually to his own recordings, he had a clear image and a voice, one that meant a lot particularly within the gay community during a wave of change during the 70’s. In 1977, he joined Harvey Fuqua and Fantasy Records in taking his brand of music into the mainstream. By 1978’s Step II, that dream was fully realized, and with disco music filling up the pop charts, his sound caught on and swept the nation. Today back in 1979, “You Make Me Feel (Mighty Real)” climbed from 44-40, becoming the performer’s second top 40 hit on the Hot 100. It would climb to #36 the next week, stay there for another frame, and then fall down at a rapid pace. It last appeared on the chart dated March 17 at position #100. The peak was achieved nearly six months after it topped the Hot Dance/Club Play survey for six weeks in a double a-side release with “Dance (Disco Heat)”, which peaked at #19 on the Hot 100 in 1978. It also climbed to #8 in the U.K., spending three weeks in the top ten. The song’s legacy in the dance community remains high in the decades since it was first released. The bass line of it heavily influenced New Order‘s 1983 classic “Blue Monday”, which has also been widely sampled. Then, in 1990, Jimmy Somerville, vocalist for Bronski Beat and The Communards, peaked at #87 on the Hot 100 with his version. (In the U.K., it landed at #5.) Two other 90’s remakes also ranked on the Dance/Club Play chart, by actress Sandra Bernhard (#13, 1994) and singer Byron Stingily (#1, 1998). It was also featured in the 2008 film Milk. 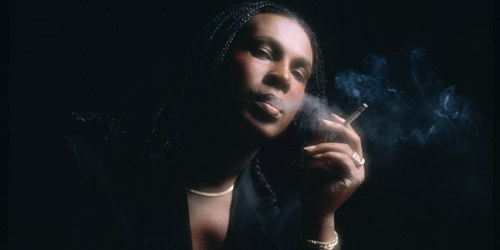 Sylvester‘s career after mid-1979 was almost exclusively found on the Dance surveys, which he continued to enter regularly, and the occasional European hit, like a feature on Patrick Cowley‘s 1982 single, “Do You Wanna Funk?” The singer signed to Warner Bros. for his last album, 1986’s Mutual Attraction, which garnered him his second of two Dance #1’s and a top 20 R&B hit, “Someone Like You”. He died in December 1988 due to complications from AIDS. He’s no longer with us, but his musical legacy lives on for generations to enjoy, even if they’re doing it while shopping for the latest apparel. Not only is it on TV, but it’s enshrined in the Dance Hall Of Fame and that’s mighty real good. Take five… weeks, that is. At 66 years and 10 months old, the “Rocket Man” himself is the owner of a new record in my chart’s history. Elton John duets with Gary Barlow on “Face To Face”, up 12-9 this week, which makes John the oldest performer to ever have a top ten single on my chart. This was previously held by Rod Stewart, who was 61 years and 9 months old when his cover of Creedence Clearwater Revival‘s “Have You Ever Seen The Rain?” reached my top ten in October 2006. The Biggest Mover on this week’s chart belongs to singer-songwriter Ingrid Michaelson. She debuted last week at #39 and takes an eight spot jump to #31 with “Girls Chase Boys”. As far as my top 40 goes, the biggest charter out on the chase belongs to “Chasing Cars” from Snow Patrol, which spent four weeks at #1 in the fall of 2006. This week’s only debut belongs to newcomer DJ Cassidy, who takes his first song into my top 40 along with two other established acts, Jessie J and Robin Thicke. The big collaboration, “Calling All Hearts”, debuts this week at #40. The DJ’s forthcoming album, Paradise Royale, is due for release in May. Look for as many as four debuts on the list next week, including strong candidates from Irish duo Hudson Taylor and British rockers the Kaiser Chiefs. Your eyes do not deceive you; that is, in fact, the Norwegian trio with a song in my top ten… in 2006. Best known for the 1985 classic, “Take On Me”, the band had been together all that time except for a short period of four years in the 90’s. “Analogue” went to #10 in the U.K. and #8 on my chart. They last performed live in public during the summer of 2011. The Buffalo rockers turned to a much softer side for this single, which saw placement on a number of television shows beginning in 2005. “Better” remains the last top 40 entry on the Hot 100 for the guys, who are now down to a duo after drummer Mike Malinin exited from the band in December. Their latest single, “Come To Me”, was a minor Hot AC hit. There has been an endless amount of charting hits about automobiles, but when it comes to cabs and taxis, they may as well be stuck in Park on the freeway. The San Francisco band’s first single from For Me, It’s You wheely got going on the AAA and Hot AC charts, where it climbed into the top ten. Elsewhere, it wasn’t such a smooth ride for our fine friends. This former American Idol runner-up became the first to top my survey, spending three weeks at #1 during the spring. It was his debut release on my chart, though his take on “Inside Your Heaven” peaked at #2 on the Hot 100 in 2005 with strong sales. His The Real Thing album was certified Gold, but Bice was ultimately dropped after one album with RCA. This is the only remake in the top ten this week, originally done by The Drifters in 1960, a #1 for three weeks in October and November. It subsequently also hit the Hot 100 for artists like The DeFranco Family in 1974 (#18) and Dolly Parton in 1984 (#45). Bublé’s take on it barely edged in there at #99, but it did some damage on the AC radio airwaves. Long before they burst onto the scene with this big debut hit, lead singer Isaac Slade had to kick his brother Caleb out of the group, which led to a rift between the two siblings that lasted for some time. Hence, the existence of this song, which Slade wrote with his band mate Joe King. It paused for three weeks at #4 on my chart and began their road to stardom. His life was, no doubt, a little more brilliant after the release of this big ballad. After all, he may have lost a relationship with his girlfriend, but he gained a few million more fans out of it. “Beautiful” spent eight non-consecutive weeks at #1 on top 40, though Blunt’s signature song was slowly making its way down in early 2006. It spent 42 weeks in the top 40. It’s too late to apologize for this not making it to #1 on my chart, but a #3 peak is nothing to be ashamed of. The second single from Confessions On A Dance Floor was a pulsing pop/dance record that did well in the clubs, but barely touched radio lists here. It fared better internationally. The legend last made my survey in 2012 with “Give Me All Your Luvin'”. Initially released in the U.K. in late 2004, Bedingfield’s song didn’t peak in the U.S. until 2006. “Unwritten” spent ten weeks at #1 on my chart; at this point, it was up to 3, but was interrupted for a few weeks by another female from across the pond. Bedingfield recently revamped her official site, which can only mean that some new music is on the horizon. She’s the Scottish lass who got your feet stomping eight years ago this week as her debut single made it to the top of my list for a second week in a row. During its Stateside run, “Black” got a huge boost when Katharine McPhee performed the song on an episode of American Idol. It remains her biggest international single. Tunstall released Invisible Empire // Crescent Moon last year and is on the soundtrack to Winter’s Tale in a collaboration with A.R. Rahman, “Miracle”. “You’re young enough to say what you feel / so, say what you feel.” It’s a simple message, but one that we don’t always take into consideration. Even when we face the issues head on in everyday life, as hard they are, it’s the way we tackle the obstacles ahead of us and carry on that builds our character. 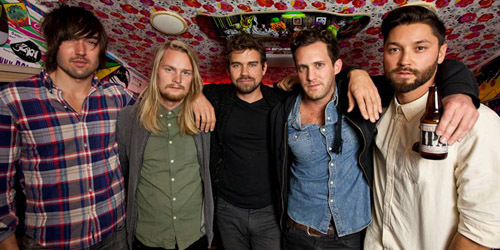 Put that in some different terms against a psychedelic pop groove and you have a hot song from Grizfolk, who have been making some waves in the blogosphere and could be emerging as one of 2014’s top new acts. Just ahead of their four song debut EP, From The Spark, comes first single “The Struggle”, which likely won’t struggle when it’s issued to AAA radio on February 24 through Virgin and Capitol Records. The five-man band began to form in late 2012 and is currently based out of Los Angeles, CA, consisting of two members from across the pond in Stockholm, Sweden (Fredrik Eriksson and Sebastian Fritze) and three Americans: Bill Delia from Pennsylvania, Brendan Willing James from California, and Adam Roth from Louisiana. Though their birthplaces were significantly different, they were all united by a passion for pop music, whether it was the thumping beats of EDM or the pulsing twang of southern rock. So, when the two Swedish members and Roth journeyed to the West Coast together as a trio, they gelled by mixing their regional loves. Now, as a quintet, they’re ready to explore even more musical ground. 2013 proved to be a critical year for the group, signing to a big label and getting the ball rolling on the promotion of their material. “Struggle” was originally released back in August via iTunes in some overseas territories and in a lyric video on YouTube, though it was already floating around the web as early as January. Added onto that was a free sampler titled Indian Summer, made available for a limited period. Then, in November, the song was featured on an episode of The CW drama The Originals in a scene with character Elijah Mikaelson, played by Canadian actor Daniel Gillies. That attracted a new pack of interested fans and they’ve since built a following on the road opening for acts like British rockers Bastille, as well as American singer-songwriter Brett Dennen. All of their hard work is finally starting to pay off in a big way. This was another solid pop/rock tune from the Memphis band.”Rainbow” was the followup to their signature song “The Letter”, and this ultimately crashed out further down as it faded into the shadow of their #1 hit. They last hit the top 40 in 1969 with “Soul Deep” (#18) and entered the Hot 100 for the last time in 1970. Lead singer Alex Chilton died in 2010. They’re the dudes from Doraville; in fact, their first top 40 hit was named after their hometown. Three years later, they were ranking with this single from A Rock and Roll Alternative, a followup to their top ten breakthrough, “So Into You”. It missed the top 40 in June, but remains in their concert sets today. The band hits a few spots in the Midwest this week. The 66-year-old legend may be climbing my chart in a duet with Gary Barlow, but he was sure lighting up the lists years ago. Issued as the final U.S. single from 1984’s Breaking Hearts, this song barely dented the Hot 100, peaking in January 1985. He would chart again later that year with “Wrap Her Up”, a collaboration with George Michael, which did better. A former member of the 80’s trio Bandera, who never charted on any of the big U.S. surveys, Martinez ventured out as a solo act with both an English and Spanish album in 1994 via label Zoo Entertainment. This song was his only significant success from either effort, just missing the top 20 on the CHR survey during the spring. A followup single failed to chart. From Nashville Star to superstar, Young’s career in music has had its ups and downs along the way, but it’s certainly been a ride to watch. 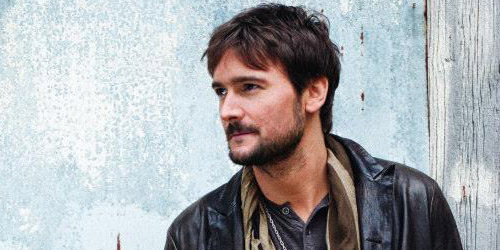 After scoring five #1 singles in a row on the Country survey, this single faltered, peaking outside the top 20. The singer is currently on the same survey was “Who I Am With You”, which has been building for a few weeks. For more on those singles that shine in sales and radiate on radio, follow the blog below or hit the “Get Social!” tab to find out how you can connect with PGTC on social media. You might have seen Google’s end-of-the-year video when it was released a few weeks ago and wondered what song was featured in it. It’s the same tune that’s found in the trailer for Winter’s Tale, starring Colin Farrell and opening in theaters this Friday. 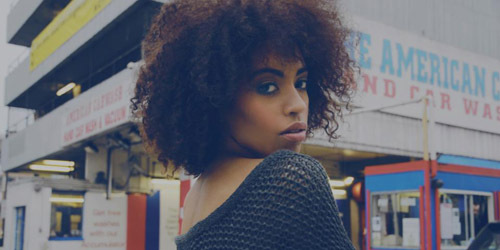 Her look is a bit Imani Coppola, and her sound is a nice mix British soul vocalists like Adele and Des’ree. In fact, the performer was born in Liverpool and is now based in London. This is her first single to be serviced to radio in the U.S. after signing a deal with Republic Records last year. Much of her radio support thus far is on the West Coast, including a key Hot AC add at KLLC in San Francisco and several test spins at KAMP, one of the two big CHR stations in Los Angeles. The East Coast will be following soon enough on this poppy, yet gritty ballad, which bares some resemblance to “All The Right Moves” by OneRepublic. For a limited time, you can download “Feels” for free on the her official site. If you’re predicting a riot with this one, it may be a little farfetched, but it’s still good to see the guys back in action. The quintet’s made my top 40 a total of five times between 2007 and 2009, with two songs going top ten: 2007’s “Ruby” (#4) and 2009’s “Good Days Bad Days” (#8). 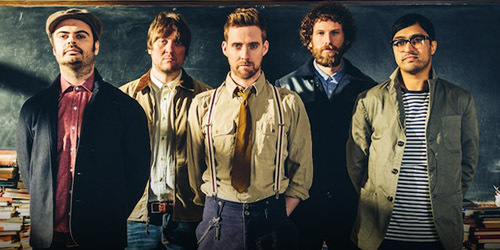 Although the band struggled some with their last album, 2011’s The Future Is Medieval, lead singer Ricky Wilson’s new judging role on the U.K. edition of The Voice has attracted some reignited interest in the band’s material, old and new. This is the first U.S. single from their new album, which goes for AAA adds next month, a format they’ve not charted on before. Sadly, the boys only have a moderate size following here in the States, but I’m hoping this has a chance to break through. “Coming” features a mellower side to the band, but keeps it rocking and is a welcome return to form after an inconsistent era. I’m looking forward to hearing the rest of the new effort. For more on those ditties that keep it domestic, follow the blog below or hit the “Get Social!” tab to find out how you can connect with PGTC on social media. The outsider goes inside the charts. Two other soundtracks from the movies are both out today: The Lego Movie (iTunes) and Vampire Academy (iTunes). 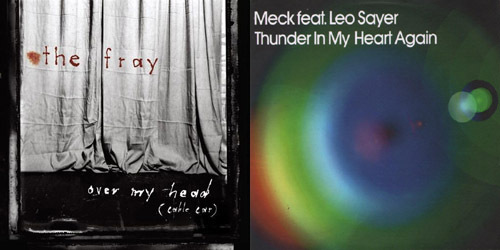 Other releases out include: Band Of Horses‘s Acoustic At The Ryman (iTunes), Greg Laswell‘s I Was Going To Be An Astronaut (iTunes), Meg Myers‘s Make A Shadow (EP) (iTunes), Neil Finn‘s Dizzy Heights (iTunes) and Sun Kil Moon‘s Benji (iTunes). 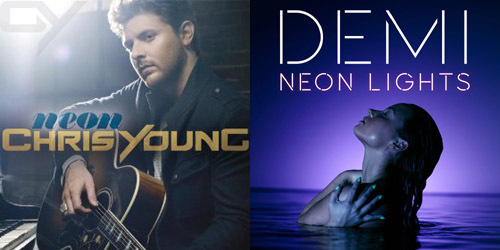 American Idol‘s Candice Glover and Country star Cole Swindell lead the pack of next week’s releases. We’ll see how they fare in seven.